Caton Crossing Animal Hospital is a well-established, full-service, small animal veterinary hospital providing comprehensive medical, surgical and dental care. At Caton Crossing Animal Hospital we strive to offer not only sound advice, but also optimal veterinary care, thus allowing you the enjoyment of your companion for a maximum number of years. Our job is not only to treat your pet when he or she isn't feeling well, but also to help you learn how to keep your best friend happy and healthy. We believe in providing caring, consistent, and thorough clinical services to your pet. Whether you are visiting for a routine, affordable cost procedure or an emergency visit, you can expect the same level of excellent care—every visit. Plainfield is a booming energetic village, located 35 miles southwest of Chicago, Illinois. According to a 2010 census Plainfield holds a population of 39,581 residents. Our Village is in close proximity to several interstates and highways making it an ideal location to reside and spend the day shopping, dining, or strolling in our downtown. Plainfield has established a community Preservation Commission and historic preservation ordinance. It is the home of the Lake Renwick Preserve, a county forest preserve used for bird watching and other outdoor activities. The area was originally called "Walkers' Grove" until it was platted as Plainfield in 1841. To date, Plainfield is the fastest growing village in Will County. Caton Crossing Animal Hospital provides to both the urban and country-living family. We are located on the corner of Caton Farm Road and Illinois State Route 59 in Plainfield Illinois. Our hospital resides in Will County and has a client base of approximately 4500 patients. 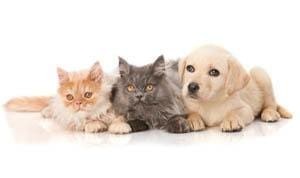 Caton Crossing Animal Hospital is your family veterinarian. We currently see Canine, Feline, most Reptiles and Amphibians, and small mammals in our hospital. We pride ourselves in keeping ourselves close to our patients and their families. Our hospital cares for patients mostly residing in Will, Kendall, and Grundy County. No positions for a Receptionist/ Assistant available at this time. No Veterinary Technician positions available at this time. No Kennel Assistant positions available at this time. Experienced groomer with 2 years+ of independent grooming experience, full time, ability to groom dogs and cats, and before and after pictures or a portfolio are a must. No Groomer positions available at this time.